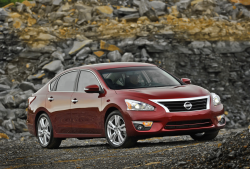 Lawsuit alleges Nissan Altima transmissions shake, judder, shudder and make lots of noise. October 4, 2018 — A Nissan Altima transmission recall should have been ordered long ago, that's according to a proposed class-action lawsuit that alleges 2013-2014 Altimas shake, shudder, make noise, hesitate and finally fail from transmission failures. The lawsuit includes all consumers who purchased or leased 2013-2014 Nissan Altimas equipped with continuously variable transmissions (CVTs) that have caused multiple technical service bulletins. However, the plaintiff says no recall has been ordered and a warranty extension didn't include 2013-2014 models. Plaintiff Christopher Gann purchased a new 2013 Nissan Altima equipped with a 2.5-liter four-cylinder engine with the Xtronic transmission, and also purchased a 100,000 mile extended warranty. Gann says his Altima suffered from delayed acceleration, juddering and slow response times, then in December 2016 the car finally stalled. After being towed to a Nissan dealer, the plaintiff was told the transmission would need to be replaced. 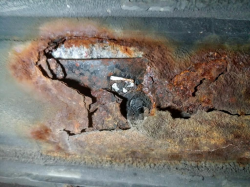 Gann says he was charged more than $3,700 to replace the CVT, but the Altima allegedly continued to have problems with delayed acceleration and juddering. According to the lawsuit, Nissan won't issue a recall even though the Altima transmissions are dangerous to everyone on the roads. What is especially dangerous is when a driver presses the accelerator pedal and the car doesn't do anything. 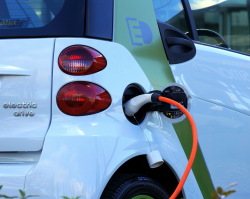 The plaintiff claims the delayed acceleration is sometimes followed by a sudden surge of power that increases the risk of a crash. The plaintiff says Altima drivers who seek repairs are routinely told the transmissions must be replaced for about $3,000, but the replacement transmissions are allegedly just as defective as the originals. 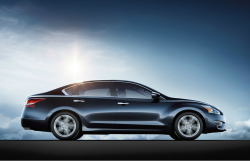 Based on lawsuit documents, the National Highway Traffic Safety Administration has received 263 complaints about transmissions problems in the 2013 Altima alone, and almost all the owners complain about the cars jerking, stalling and shuddering. Nissan extended the CVT warranty to 10 years or 120,000 miles for multiple models, including for 2007-2010 Altimas, but nothing was done about 2013-2014 Altima cars. Additionally, Nissan said it would reimburse owners and lessees for past transmission repairs or replacements, but again 2013-2014 Altimas weren't included in the deal. As for technical service bulletins (TSBs) sent to dealerships, the lawsuit mentions several. The lawsuit alleges the bulletin didn't help, so Nissan issued NTB13-086 for 2013 Pathfinders that allegedly said the reprogramming job didn't necessarily fix the shaking and juddering. 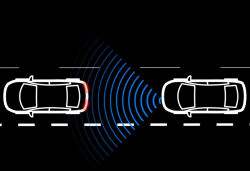 Between 2015 and 2018, Nissan issued additional TSBs related to the transmissions, with the bulletins talking about vibrations, shaking, shuddering and bumping. In most cases, technicians were told to reprogram the transmission control modules, something the lawsuit alleges has never worked to fix the problems. 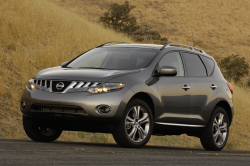 On April 1, 2016, Nissan issued NTB15-084b if 2013-2016 Nissan Altima owners reported a transmission judder and one of the CVT_JUDDER diagnostic codes appeared on the vehicle, the CVT assembly or control valve body might be replaced. If the CVT_JUDDER diagnostic code did not appear, no additional action would be taken. The Altima transmission lawsuit alleges all the TSBs have been inadequate and issued to save money on a full recall of the cars. In addition, by refusing to repair or replace the transmissions, even under warranty, Nissan has allegedly made a fortune by making customers pay to replace transmissions with the same defective CVTs. The Nissan Altima transmission class-action lawsuit was filed in the U.S. District Court for the Middle District of Tennessee - Gann, et al., v. Nissan North America. The plaintiff is represented by Sanford Heisler Sharp, Barnow and Associates, and Blood Hurst & O'Reardon. 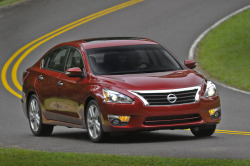 CarComplaints.com has owner-reported complaints about the 2013 Nissan Altima and 2014 Altima.